About 200 students gathered in Quarry Plaza Tuesday afternoon to rally against the proposed plan to increase tuition by up to 5 percent over each of the next five years, if state funding continues at expected levels. 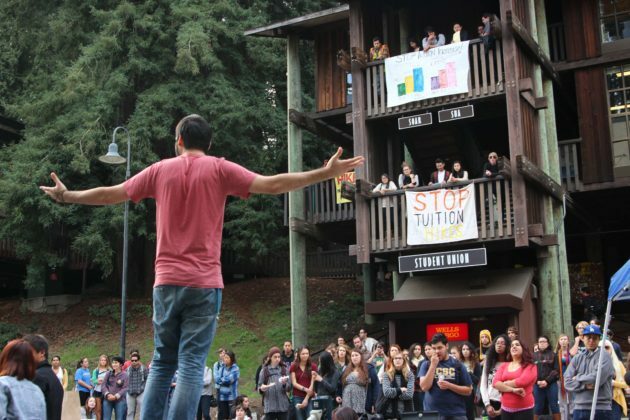 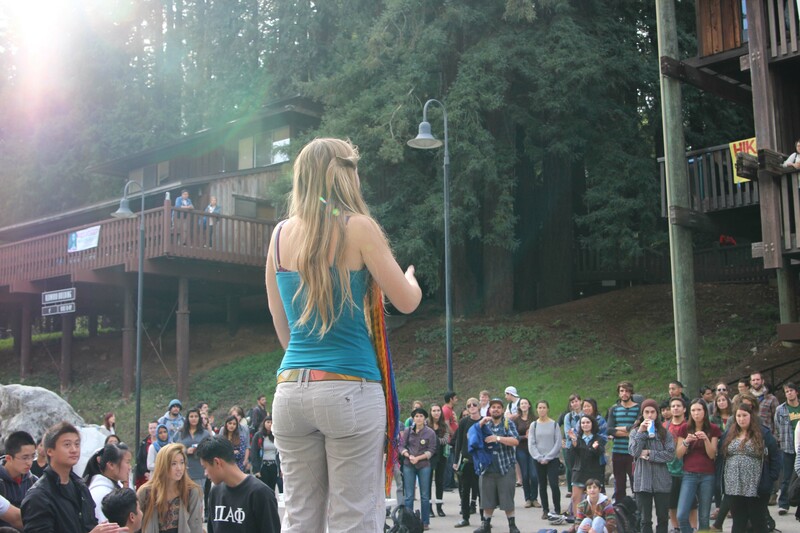 The rally comes in preparation for Wednesday and Thursday’s UC Regents meeting, when the tuition hike will be voted on. 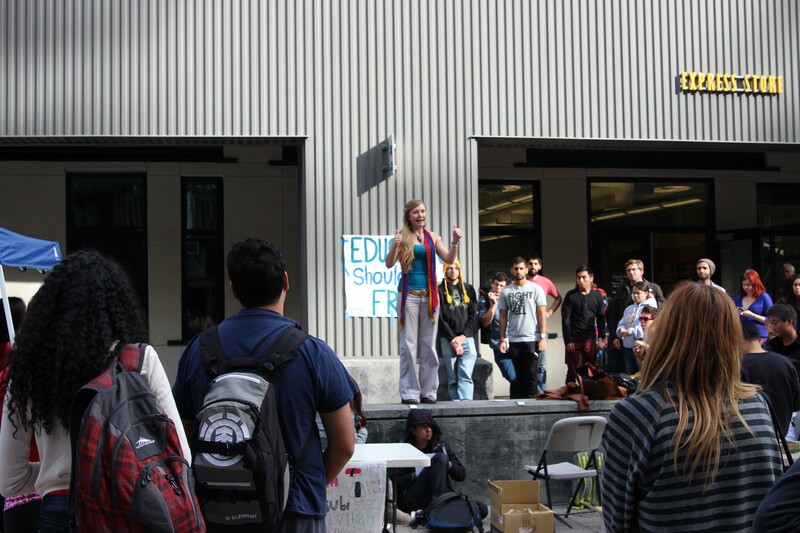 Student organizers posted signs on surrounding buildings that displayed messages like, “Education should be free!” and “Join the fight! #FundTheStudents.” Fourth-year Sauli Colio, who helped plan the event, said it was organized by students in a matter of days. Colio, who opened up the rally with a speech about how the proposed increase will affect her, said students will struggle because of the hike on several different levels. 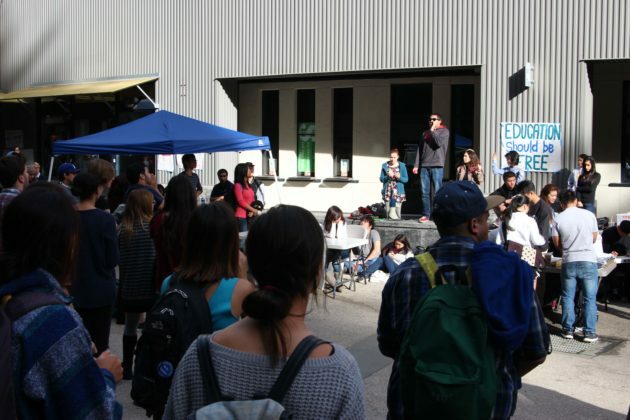 First-year psychology and Latin American and Latino Studies student Andres Pinedo stood in front the growing crowd to talk about how the hike will have deeper consequences besides the monetary effects. 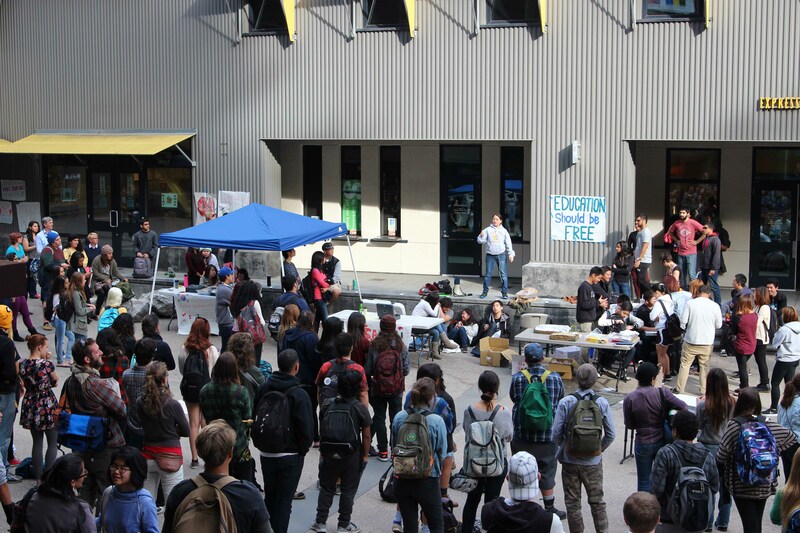 Other organizers distributed flyers during the rally with information about future student action including a rally and march later this week. 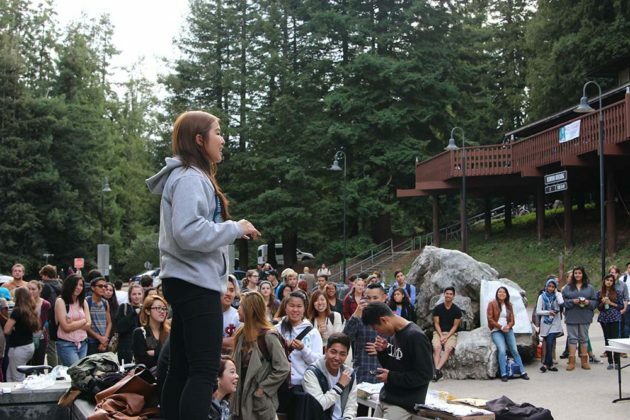 Buses transporting students to and from UC San Francisco are also set to leave Santa Cruz around 5 a.m. 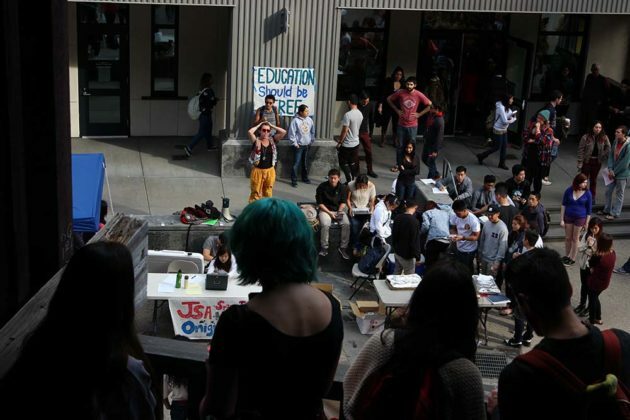 Coalitions of students are planning direct action before and during the meeting. 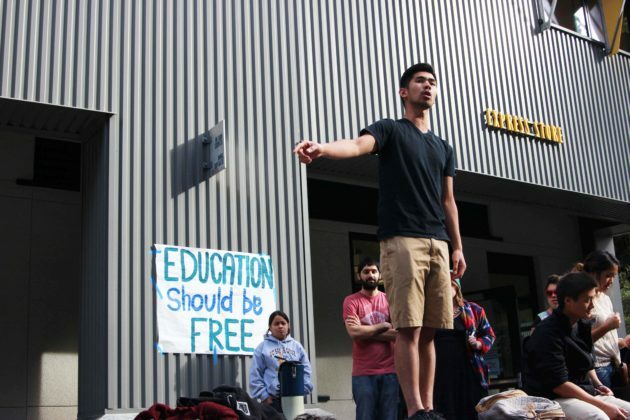 University of California Office of the President stated Napolitano said the UC’s tuition rates are competitive to many other public research universities and is up to a third less than major private universities. Like us on Facebook, follow us on Twitter and Instagram @chpnow for breaking news about the UC Regents meeting.